I cannot believe that I have only just got my hands and I am actually sitting down to write this review for you guys. I don’t actually know why I am bothering to be honest because I am sure that all of you guys know everything that there is to know about this palette with it being out for such a long time already. Even though from day one, I appreciated how stunning this palette was, I never really wanted to pick it up and try it out for myself. For some reason, when a product gets super popular and pretty overhyped, I tend to lose interest because I don’t like to be a sheep and follow the crowd. I never really got away from the fact that this is meant to be an incredible product, so one day when I was browsing through the Debenhams website, I decided to pick it up and treat myself. One of the main reasons why I didn’t buy this palette to start with was because I didn’t really feel like I had much need for it. I had created my own MAC Pro palette with 3 highlight and 3 contour shades, so I felt like I had matched this and I had no use for it. It wasn’t really until I saw a decline in the quality of the MAC palette that I decided I needed to make a change. Almost overnight, my MAC palette seemed to look very choppy and quite muddy on the skin, and the Kat Von D Shade and Light palette was the first product that popped into my head for me to replace my beloved and bloody expensive MAC palette. I am sure that you guys already know all about this palette, but inside you get three highlight and contouring shades. 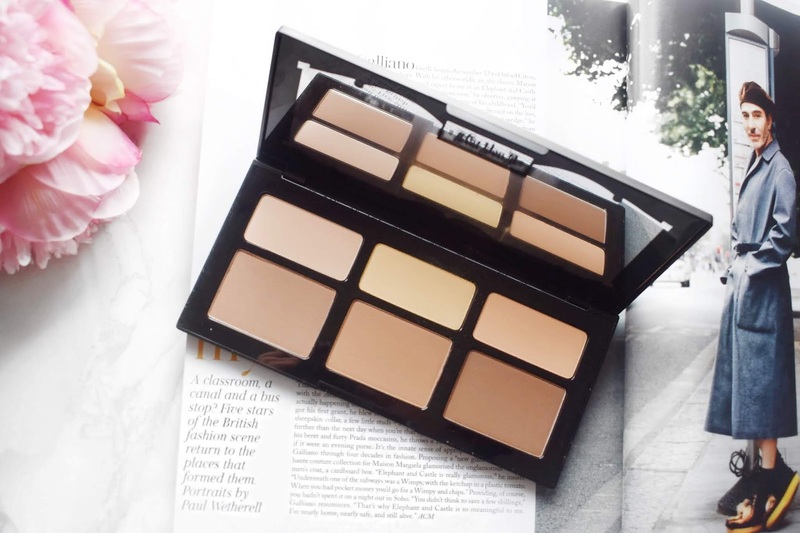 For the contouring shades you get a medium shade, a deeper bronzing shade and a much richer contouring shade. In the highlighters you get a very light white shade, a pinker undertone powder and then a lovely creamy yellow shade. I will say that the main shades that I use personally are the two deeper contouring shades and the yellow powder for underneath my eyes. The good thing about this is that now you can buy individual refills, so you don’t have to buy a new palette whenever you run out of your favourite shade. 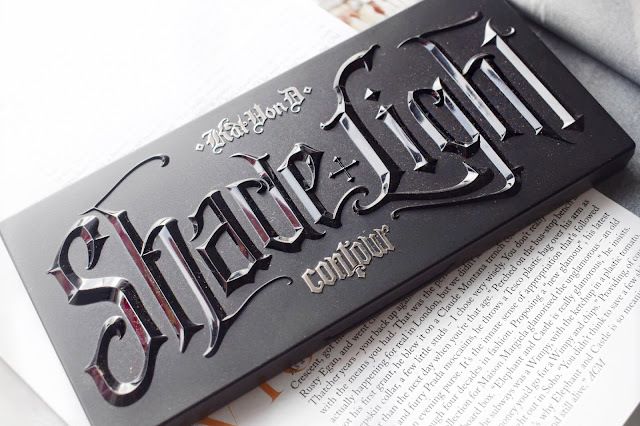 When I think of this Kat Von D Shade and Light palette, it is hard to imagine how I continued to use my old MAC palette for such a long time. The powders in this Kat Von D palette are so stunning and they blend into the skin like pure silk. Not only that, they are super buttery, so they look flawless on the skin and not at all chalky or heavy. 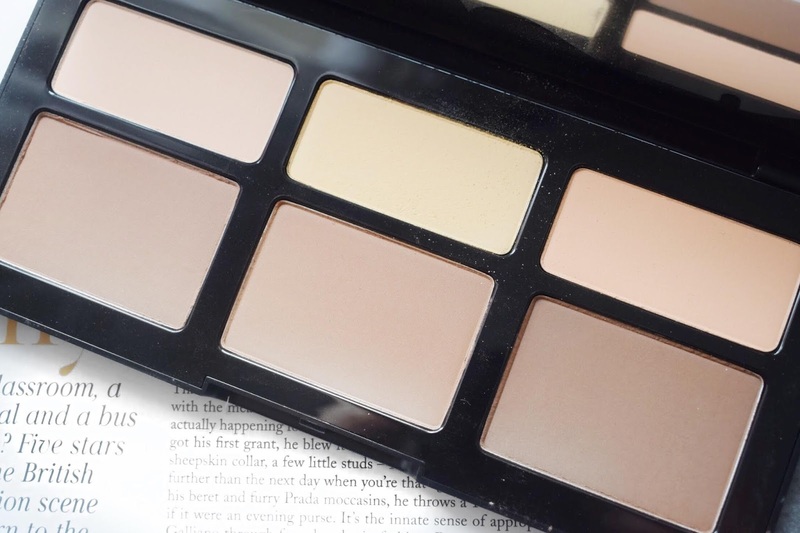 Whenever I reach for this palette, I know that my skin is going to look super soft, not at all choppy and my contour will look lovely and smooth. I am actually kicking myself that I didn’t make the switch over sooner because the quality of this is just completely incomparable to other products that I have used that have been similar! 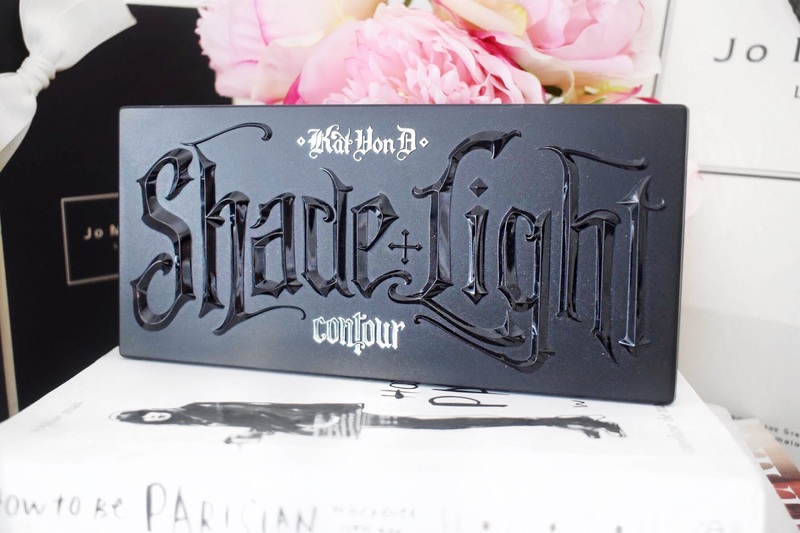 I have very quickly found myself reaching for this Kat Von D Shade and Light palette on a daily basis and I know that I am going to be using this for a very long time to come. The quality is just beautiful, it looks stunning on the skin and it feels amazing as you are applying it. I know that this has well and truly trumped my own palette and I really do never intend on using my MAC palette again. I think that it is bloody easy to see from my review that I love this palette and I know for a fact that should I ever need to, I will repurchase it without any hesitation. If you want to check out this product for yourself, I will pop a link to it down below in case you want to check it out. Make sure to leave me a comment and let me know if you have tried this out and most importantly, let me know what you guys thought about it! Me too, I am already on my third yellow shade! I understand completely, but not having children myself I feel like I cannot really wade in on the argument even though I would 100% vaccinate my children. I just know that this is an amazing product and most important cruelty free! I have and love this palette, I was also late on the bandwagon but it's so good. I can see why it gets so raved about and people basically pan this palette. I don't contour daily but this is a happy part of my small contour collection. I am so glad that I finally got my hands on this item! I love kat von d products. They have never disappointed me! Me neither, I am so happy that I picked this up! They are matte powders, but for setting and highlighting rather than your glittery powders! Me too, it is a lovely product! looks like a neat pallet! I have been using it so much recently! I know some people aren't using Kat Von D anymore, but I think this is amazing! Honey, that review really interesting. This palette is amazing! I just cannot stop using this! I am amazed by absolutely everything about this palette! I am in love with it, amazing quality!